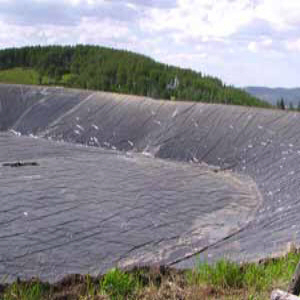 • Cross-laminated polyethylene with a geotextile fabric reinforcement layer that resists punctures and tears. • UV stabilized to withstand prolonged exposure to sunlight. • Not prone to environmental stress-cracking (ESC) so it can endure repeated thermal expansion & contraction cycles.